Achtung! 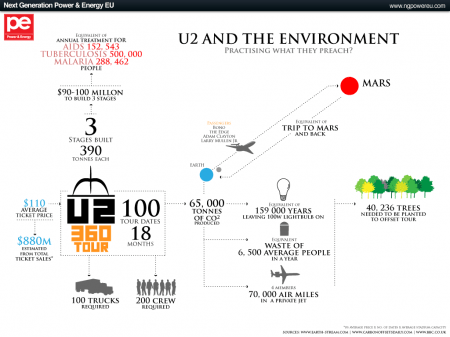 U2 aren’t the eco-warriors we thought they were. Since the global super-band first formed, they have addressed global issues ranging from poverty to social justice to climate change. However, on their current “No Line On The Horizon” tour, they have been accused of hypocrisy by environmental groups as they transport their masses of equipment around the world.